This entry was posted on October 31, 2015 at 3:58 am and is filed under Elijah Interpretations, Proper teachings. You can follow any responses to this entry through the RSS 2.0 feed. You can leave a response, or trackback from your own site. The question or comment from Sister V is similar to that voiced on my Bible conferrnce last week. My response was this: the holy name enthusiasts came to know YHWH and Y’shuah through the titles Lord, God and Jesus Christ. Now that they are more enlightened, they are also confident that to worship Jesus is not ascribing homage to a pagan deity. Further all the holy name proclaimers I’ve met hace taught many delusice errors while rehecting cardinal truths, such as the restoration of the premillennial kingdom of Christ on earth per Dan 2: 35&44. While i acknowledge the Creator has a personal name, as a teacher of rightwousness I’m called to build a bridge to Him by teaching the uninformed in words and language they understand. There is a people who has “the Father’s name” in their knowkedge and follow the Lamb of God-144000. Thanks for your comments brother. Inspiration clearly says that we must regard as “invalid” any movement which discards using titles as God, Lord, Christ, etc. If we do discard those titles when addressing Him–we defeat Him. let us obey divine instructions not our own ideas. What is most amazing is that members of our churches seem to assume that the only safe guard against the the enemy’s rabbit trails is making sure that they are trusting their leaders even without having to search the scriptures to confirm the leaders’ positions in respect to certain held teachings!they condemn what the leader condemn and accept what their leader accept all blindly! Amen brother. It is so interesting that people fall into this trap, I have a blood sister who is stuck in this snare. I have tried to reason with her, but to no avail, I am praying that one day she will be freed from this deception. Yes brother, that is about all we can do. These clutches really grip them. Read Houteff’s words “But as the matter now stands” As the matter now stands means that in the future when Inspiration reveals more truth,, then you must continue on in truth. For ” I am the Yah, I change not” Mal. 3:6 He will always reveal more truth. He will not leave us in darkness especially about his name. Hosea 2:26,17 And it shall be at that day, saith the Yah, that thou shalt call me Ishi; and shalt call me no more Baali. For I will take away the names of Baalim out of her mouth, and they shall no more be remembered by their name. You are teaching against latter day truth. The truth of the Name “Jesus” a Pagan name meaning son of Zeus! and yet you act like it is perfectly fine?! You teach error! But as minds become narrow, they think they know it all, and set one stake after another in points of truths of which they have only a glimpse. People close their minds as though there were no more for them to learn, and should the Lord attempt to lead them on they would not take up with the increased light. They cling to the spot where they think they see a glimmer of light, when it is only a link in the living chain of truths and promises to be studied…. You are advocating praying to Je ZEUS? and god? His children know his name. So we are to believe “your” interpretations “means that in the future…”? Obviously the whole message of our article escaped you. You quote Brother Houteff and SOP for your own gain and ideas. 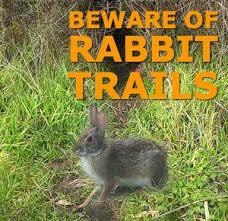 If you continue on sister telling brother Houteff how to teach his message, your rabbit trail will end not as you like. Brother Houteff is not here for anyone to tell him how to teach his message. You act as if he is still here. The matter no longer still stands. It is being revealed today what Yah’s name is, what is son’s name is,what the followers of Yasha’s name is. “People close their minds as though there were no more for them to learn” Sis White. The matter is open. For the Yah wants his people to keep learning of him. Do not interpose between the people and the message of Heaven.